We're not enrolled in any Microsoft Developer program and we don't use any Microsoft tools. All programs have been scanned by Metadefender. Additionally SeeDeClip4 itself has an internal anti-tamper security checksum. Win7's IE may ask this, answer no, SeeDeClip4 works fine with the higher security levels. However as IE's audio is broken, so you'll be installing a decent browser anyway; making this question irrelevant. 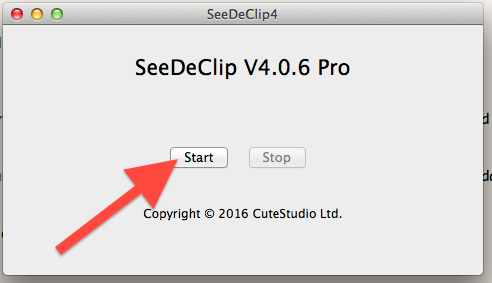 If you run McAfee or similar be sure to allow port 8000 to be used by SeeDeClip4. You can change this port later if it clashes with another program. This will also open a webpage for you, additionally it may start scanning directories for music and analysing for quality. The program wants to open port 8000, allow or deny? Click on 'Yes' or 'Allow'.